The first of two books which provide an unparalleled reference source and handbook for everyone involved with alkaloid analyses. 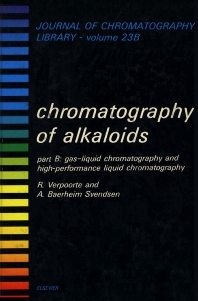 The first volume gives a comprehensive summary of the literature on thin layer chromatography of alkaloids. It presents the most effective methods for the separation and detection of alkaloids occurring in plant material, biological material, pharmaceutical preparations and drugs of abuse.